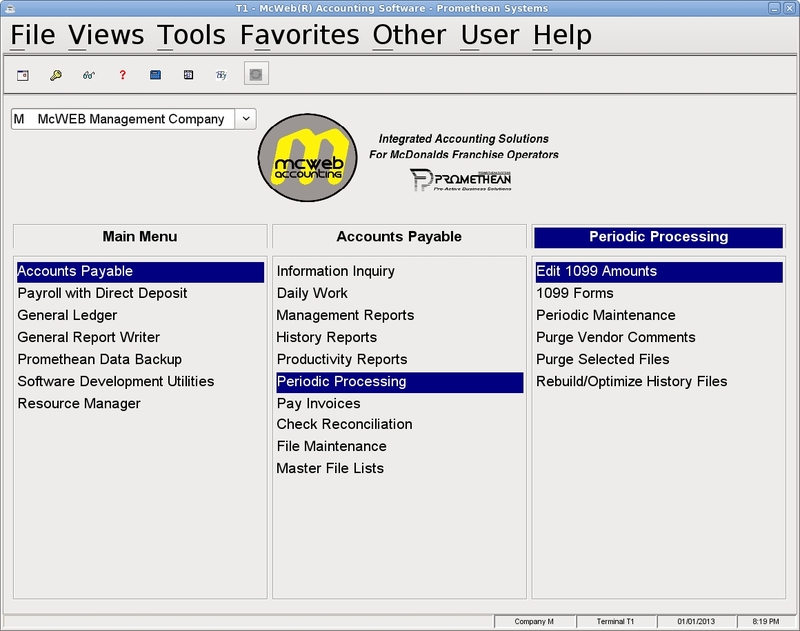 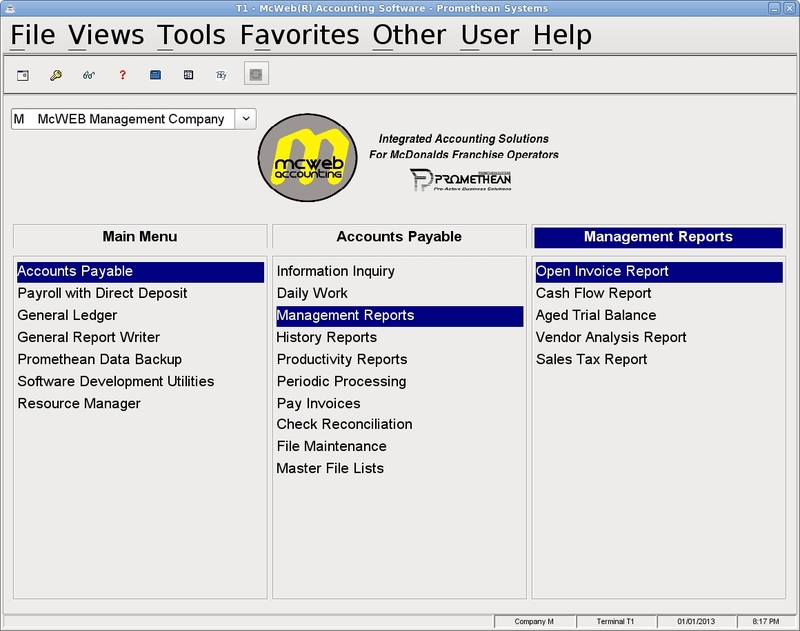 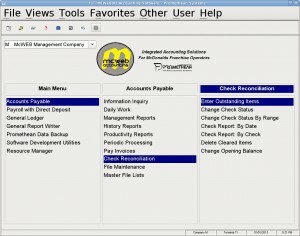 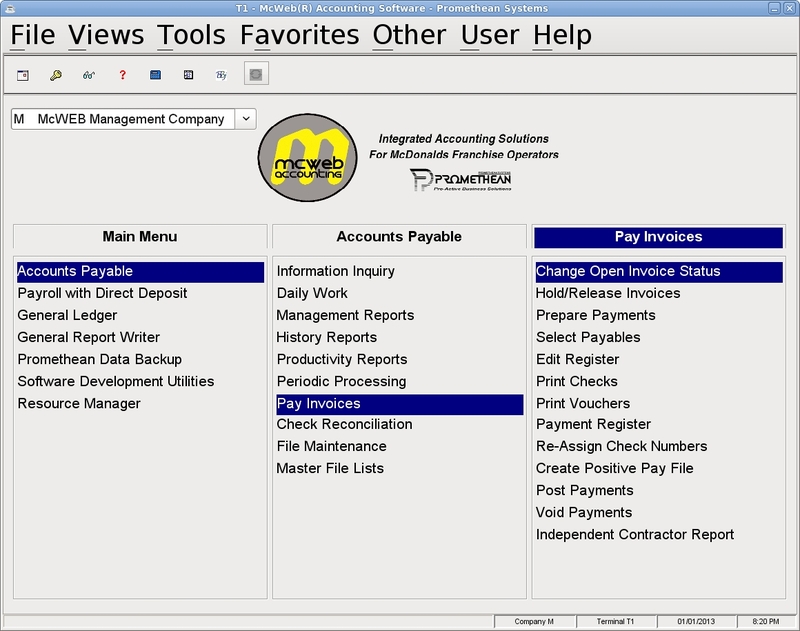 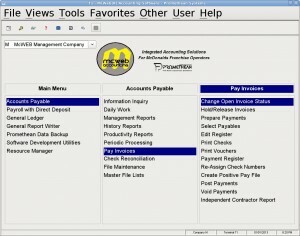 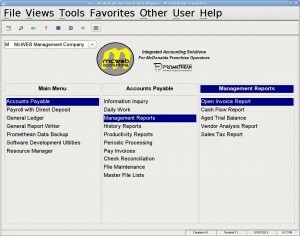 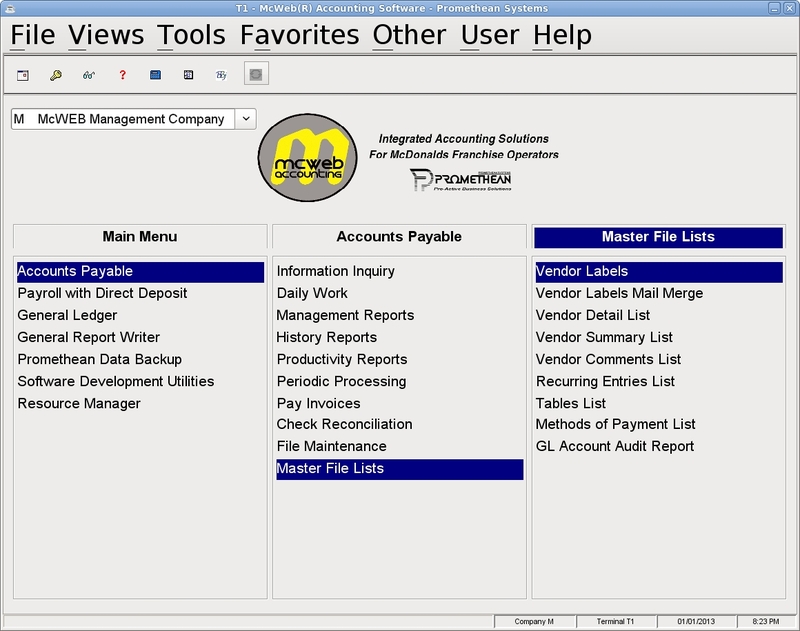 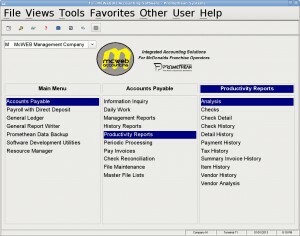 The McWEB Account Payable Module is unique in that it is focused on the Store Operations Level. A single invoice might have line items allocated to multiple stores, and the system will automatically allocate the line item expenses to the appropriate stores. 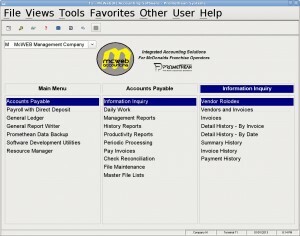 This is taken to the next level, when the store expense allocation is displayed on the check stub of the Vendor Check. 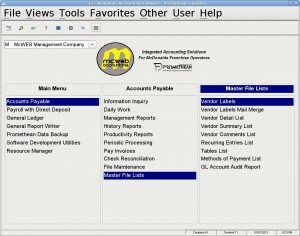 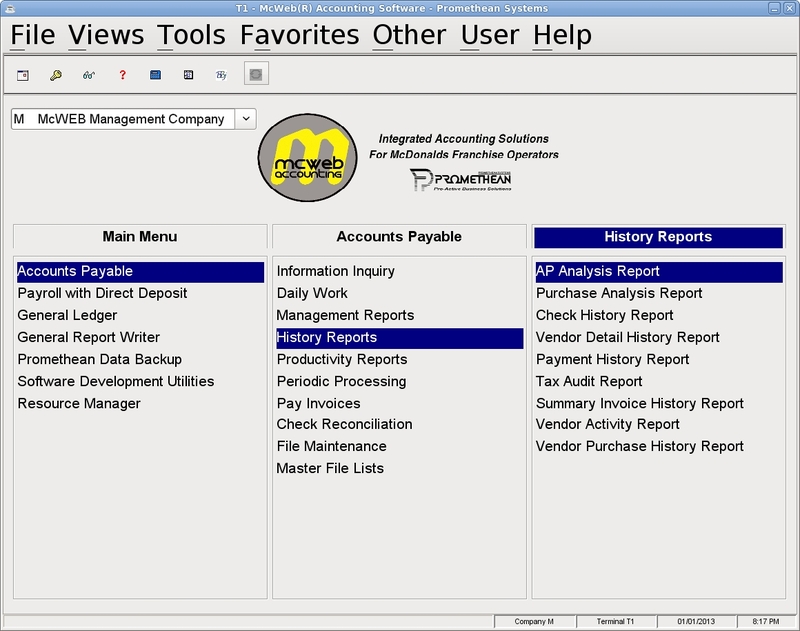 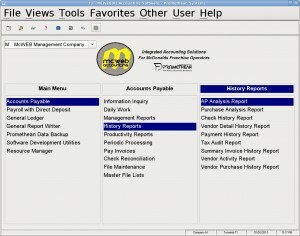 With McWEB Accounts Payable the Franchise Operator has both franchise wide and store level reporting available.